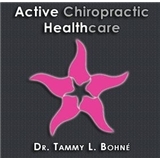 Active Chiropractic Healthcare (New York) - Book Appointment Online! The receptionist and Dr. Bohne were both polite and friendly. The office was clean and organized. The doctor was very thorough and I felt heard! I will tell everyone I know to see this doctor!